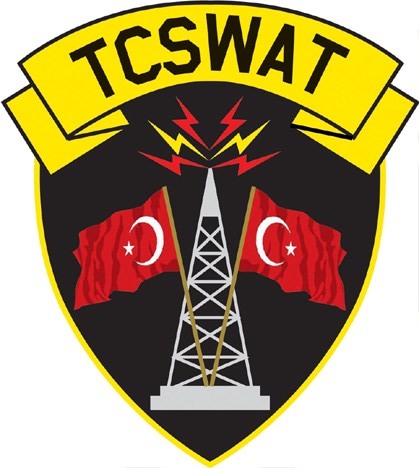 Special Notice for QSL cards : TCSWAT qsls 100% via bureau. The usual delivery time is end of June at the Friedrichshafen Messe. If you are not in a hurry, please wait for it. Starting in 2013, the cards will be printed and sent annually. So it is usually of no use to send in a direct request right after the activity. If you use www.eqsl.cc the logs are uploaded to the database right after the activities. Thanks for your interest in our activities and see you down the log!! If you would like to get informed about activities before hand, please let us know, by sending an e-mail to ta2rx@tcswat.org or ta1hz@tcswat.org, and we'll add you to our mailing list. Please also visit our Facebook Fan Page. Lütfen Dikkat: TC ön eki taşıyan her istasyon bir TCSWAT faaliyeti değildir. * TCSWAT'ın tüm faaliyetleri önceden http://www.425dxn.org/ kanalıyla duyurulur. * Gerekli tüm bilgileri http://www.qrz.com'da kayıtlıdır. * Görüşülen istasyonların tamamına QSL kart gönderilir. Please note: All stations with a TC prefix are not TCSWAT activities. * QSL cards are sent to ALL stations contacted.